This entry was posted on September 13, 2013 at 9:45 am and is filed under CYCLING THINKING. You can follow any responses to this entry through the RSS 2.0 feed. You can leave a response, or trackback from your own site. My son (9) cannot wait for the weekend to get out on his bike, but as the roads terrible, he needs me with him. We so need to change our streets. Absolutely, absolutely – one day I hope (and do believe that) we’ll say to ourselves ‘how on earth did we ever let our streets become like that?’ They are a continual and very visible affront to our collective humanity, but have become so taken-for-granted that we barely notice them (like the proverbial frogs in the cooking pot). Thanks for piping up; our voices count. lovely thoughtful blog dave. 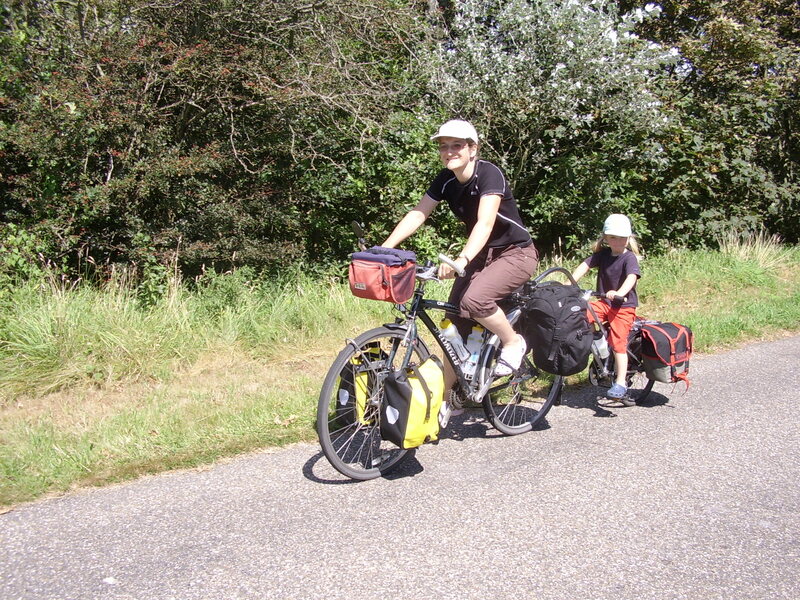 about being a parent as much as about cycling. Lovely photographs too. I’m sure i recognise some of those kids! My daughter Emily and I are car-free too (although my wife drives, she has to be at work well before we have to go to school), so we ride our bikes to and from school every day, rain or shine. We live in Silver Spring, Maryland – a city on the northern edge of Washington DC. So while Emily, who is the same age as Flo, faces some of the same pressures you’ve mentioned, we live in a more urban setting, with shorter commute distances. As a result, I think perhaps cycling seem less outlandish to the folks around us than it might to someone who lives in a rural setting and whose daily commute might be 20 miles or more. Also, thanks in large part to our urban setting, Emily is developing a healthy contempt for car culture: with so many cars on the road, she smells the exhaust fumes when we’re stuck in traffic, she knows about the evils of pollution and she hears the constant roar from the motorways and main roads every second of her life (if we listen carefully, we can even hear it in our house at night). Finally, thanks to my strong knowledge of the rules of the road, she is reminded everyday how motoring requires a level of competence that many drivers lack. So, in our case, familiarity breeds contempt. The evils of motoring might not be quite so apparent to a child who lives in a more rural setting, as it seems that your family does. What our daughters do not yet see is the expense of owning and running a car: the AAA here in the US estimates that the average car owner spends nearly $10,000 per year on his car. I’m pretty confident that, as petrol prices go up in the coming years (as they must), car ownership will seem even less attractive to young people than it is now, and we’re already seeing a drop in car sales, fewer young people owning licences and fewer car miles driven by all car owners, so it’s already starting to happen. So I think the future is on our side. The pro-car pressures that our daughters face from friends will tend to fall away as the years progress and as financial realities overcome 20th Century car-centric thinking and outdated social biases. I think that in a few years, people will begin to realize that car culture was a 20th Century aberration and not ‘normal’. In the 21st Century, although cars are still here in force, they are rapidly becoming an anachronism. Thanks Ian, for all of that. I tend to agree with your analysis, of the status of motoring/cars being in decline amongst younger generations (though we remain pretty firmly ‘locked into’ car-oriented environments, which will take time to change), so that the 21st century will see a long, gradual drift away from the car (in the US and UK, and other richer countries, anyway; though I’d hope also elsewhere). I sometimes wonder how much money Sue and I have ‘saved’, in never owning a car. Of course we spend money on transport, including a fair bit on cycling; but I suspect one reason we’re able to live relatively ‘counter-culturally’ (and cheaply) is that we don’t have to afford the expense of driving. We actually live in the middle of a city, albeit a small one (only 50,000 people), but it’s a very walk-able city; so as many – probably more – of our local journeys are done on foot as by bike. 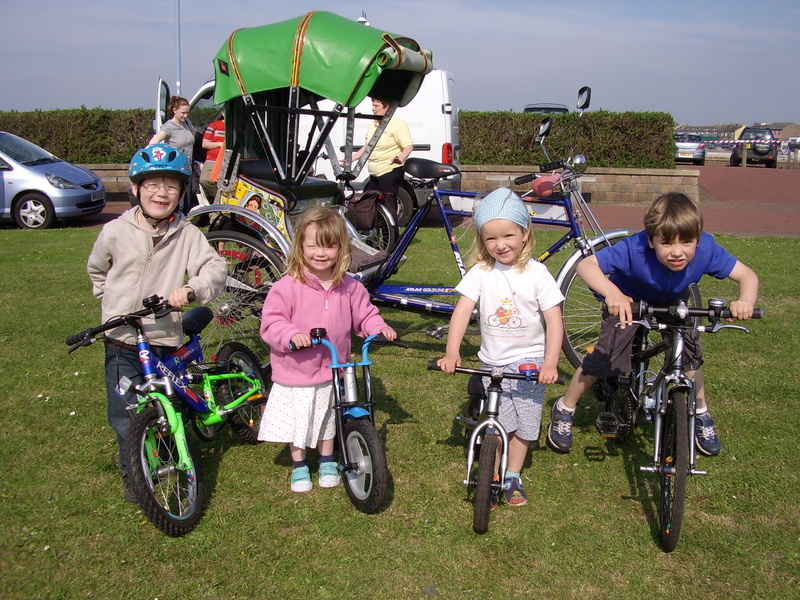 I think our kids know many of the problems of/caused by cars, but we try not to bang on about it, perhaps partly because their lifestyles in particular would become far less tenable were it not for other peoples’ cars and the generosity which those car-owning people often show towards us! Thanks ever so much for reading and making the time to comment too. 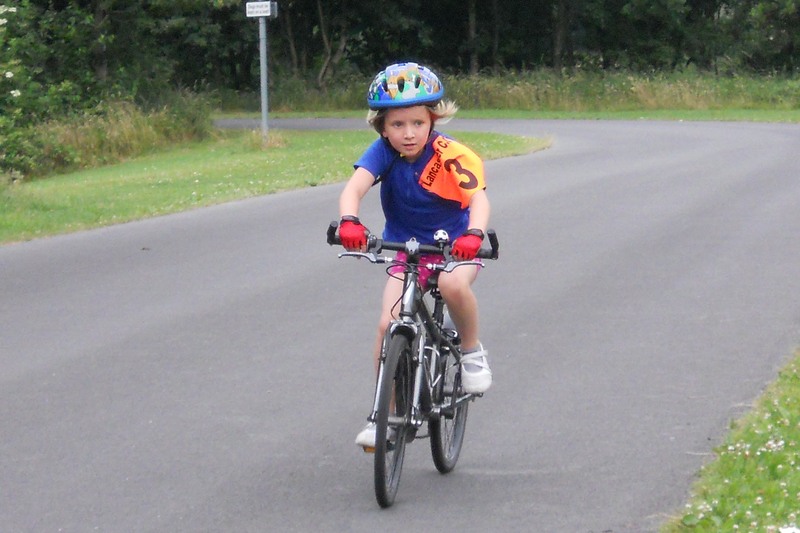 It’s tricky for young teenage girls and bikes when what your wear becomes so important. When I was that age, there was no teenage fashion sector although it was becoming a battle ground – not between corporations but between teenagers themselves and fashion designers (for recognition) and school head-teachers (for freedom of choice)! 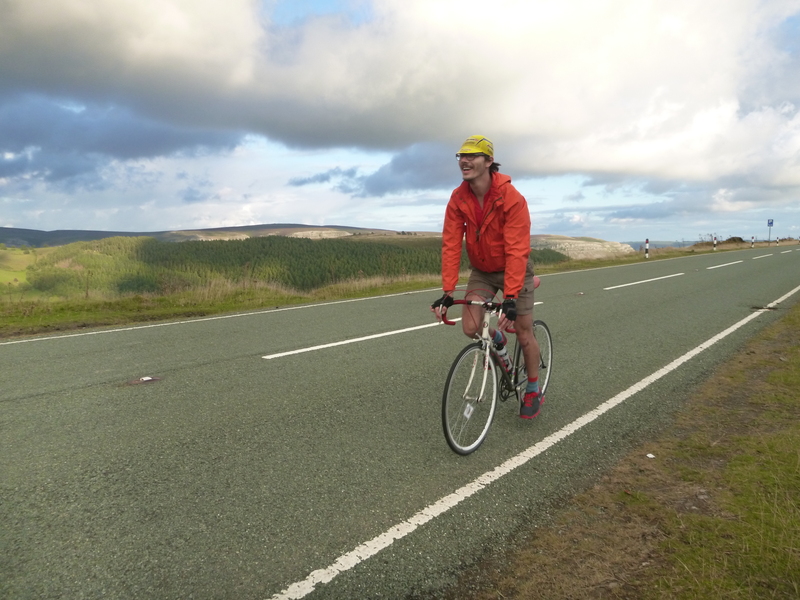 Being a bike-rider and also somewhat eccentric, I sorted out my own bike-riding kit – divided tweed skirt or jeans, chunky ankle socks, loafers, swagger jacket, beret, scarf and gloves – a kind of American bobby-soxer look! But later the stilletos, pencil line skirts, boyfriends with cars, etc. won out and for quite a few years my bike gathered dust whilst I got married, had babies, drove a little car and so on. However, I did return to my bike much later in life and it has become a crucial part of my transport and healthcare system. I discovered that bike-riding relieved my increasingly severe back pains and, even, enabled me to remain mobile whilst waiting for a hip replacement operation. This not only kept me mobile, but also ensured that core and other muscles remained toned (so often lost when in this kind of pain), and helped me make a very speedy and successful recovery from the operation itself. Now, in my seventies, my bike trips keep me healthy (blood pressure and weight down) and save me time and money. I doubt whether this return would have been easy or even seem “natural” if I had not been a cyclist as a child and teenager. Cycling appears to be getting “cool” for boys, but making it so for girls seems to be a harder cultural task. Much could be done in the cycling market sector to produce more attractive women’s wear (in a full range of sizes for those obese girls that need to get started) and in the fashion industry (clothes that take account of cycling as a normal way of getting about). Hopefully, the young girls who give into our car-ist culture, will return later in life when they realise that trying to fit in with society’s female mores becomes a questionable and miserable pursuit. Thanks so much Jane, that’s so encouraging and inspiring to hear. 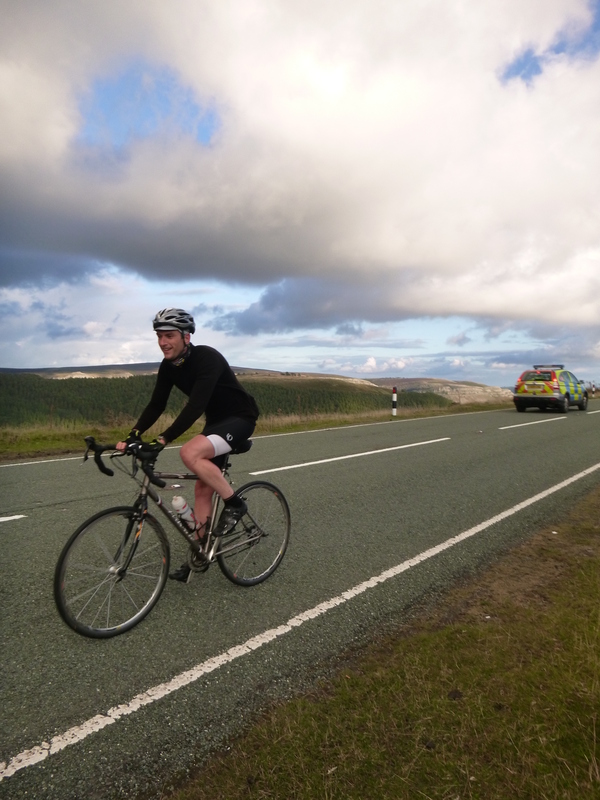 Keep up the cycling, and I’ll/we’ll keep up the positive messages around cycling we’re sending to Flo and her friends. Thanks for this upbeat piece Dave. Riding around London, as you know, makes me feel we are going slowly in the right direction and creating a uniquely British type of accepting cycling while at the same time subtly making it harder to choose to drive. 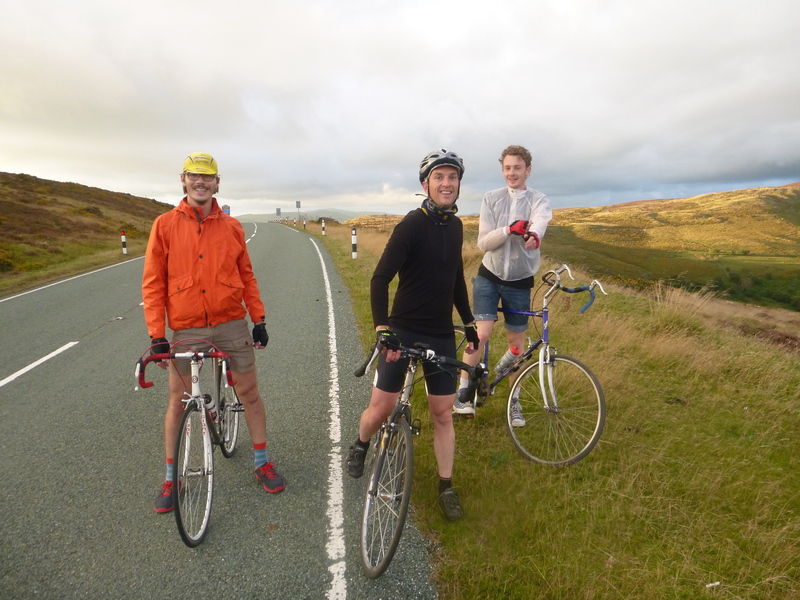 (And what a contrast to cycling on the Horeshoe Pass, something haven’t done for decades. I am usually made aware of how for we have moved in London when I see Ride in London with someone from out of town. Andy from Leicester and I rode around then sat outside the Yorkshire Grey pub watching the evening commute from the West-End Eastwards. We watched for an hour, Andy taking a picture of the Advanced Stop Box each time the light was red. There were on average 30 riders in the box on each light change. He reckoned that there were about 1,500 cyclists moving through a Major junction with no other provision other than the stop box, a 20mph speed limit. There was almost no red light jumping, no conflict between people using different modes and approximately 4 time more people on bikes than in cars. (Buses where full too). So many little tweaks that have made London so good to cycle in now (whatever the ‘dangerisers’ may be saying) could be applied to places like Stone was there political will. I suppose the jump from Stone to Amsterdam or Copenhagen may seem much further than the subtle ongoing changes that have happen in the capitol that obsession of campaigner to only look to north Europe may not be as helpful a looking to places in this country where riding is being made easier. Dave, if you fancy another trip to see the latest in London and ride again with me you know that a bed/floor is here for you. London, I’m sure, ‘feels’ great for cyclists. But I think the ‘dangerisers’ might have a point, as their opinion is based in collision studies. That is, if by ‘dangerisers’ you mean those who are pointing out that advanced stop boxes increase the chance of collision during a ‘stale green light’. Studies show that collisions increase where such infrastructure is installed. An hour spent watching such a facility may make such a facility appear perfectly safe, but that’s because cycling is a very safe activity – even at intersections which are less safe than they ought to be. The change is remarkable. In the mid 90s when I was securing grants for our local LCC branch and lobbying/working with Ealing Council, things were altogether more desperate and we still talked about War on the streets. Nice to think we were the pioneers, though! Despite our efforts an ‘organic’ increase in cycling could not have occurred without the well-known public policy improvements – the Congestion Charge, for example, the slightly suspect blue commuter routes, and central london Boris Bikes…. Paper on Ealing and the 90s here – and a couple of the references go back further. I may be old-ish, but I think this is wrong – masses of the real grunt work liaising with infrastructure people cannot be done by Twitter etc, but by local groups. Organizing a protest in central London is not the same as sitting down with local transport planners. What we were doing in the 90s has carried on – I see the people I worked with every year, still, and if anything, there are more local networks formed with the people that make decisions on roads. Thanks Simon, that’s all very interesting. My sense is that cycling advocates have begun to get a bit less patient, and a lot more ambitious, of late; this stems from a changed understanding of advocacy, as less about making conditions better for ‘us cyclists’ (the 2%) than it is about creating conditions in which almost everyone (the 100%) would feel able to cycle. ‘Old style’ campaigners might still be trying to change things within local government (sometimes through co-operation, sometimes via conflict), but the ‘new style’ campaigners are using social media because they are more literate in such media, but also because they’re still figuring out how local politics works, and how best to get local politicians and officers to i) hear, ii) understand, iii) digest, iv) act on the new, more ambitious agenda. So I think there are two kinds of cycling advocacy going on right now, and a big challenge is to get them to understand and respect one another, in order to improve chances of moving forward on a ‘united front’ (recognising that differences will always exist, and that’s OK). It’s almost as though the ‘Get Britain Cycling’ (i.e. ALL of Britain cycling) brigade has to persuade not only politicians and council officers of the changes required (which are obviously major) but also of course the wider public, and – importantly – many ‘died-in-the-wool’ cycle campaigners. It’s like we’re currently involved in a political/social/cultural movement to get cycling taken much more seriously, *including by ourselves*! The old style campaigners did think beyond the 2% all the time. I remember issuing stretch targets to the group and the council, in line with LCC Head Office. And organising bike workshops and bike rides for all comers. My wife wrote up a piece on how we managed with a 3-6 year old. He is still going strong, also aged 10, in a very car-dominated society. http://tinyurl.com/munbfe5 Question: at what age should he repair his own punctures? In addition, on the issue of teenage gender differences and girls, mentioned above; two words – Amsterdam and Copenhagen. It’s cultural. Following Durkheim, practice can influence attitudes, rather than the other way around. In both cities, and I have lived in the latter, fashion and bikes mix fine. In Australia, this is unfortunately ruined for girls by compulsory helmets, courtesy of the safety police (since 1990). Thanks very much Simon; that’s a lovely article by your wife – full of sound, sensible, kind advice. It strikes me that encouraging children to ride is a (mainly enjoyable) challenge for the parents as much as the kids – this last weekend, the 4 of us rode to a local farm and cafe which makes its own ice-cream; although it’s only perhaps 8 miles away, because it’s on a fairly busy and fast road it was the first time that either of our kids had been there, and of course they got a monster ice-cream each to celebrate! So my point is that even though they’re now 12 and 10, and super cyclists, the challenges and new experiences – for all of us – continue apace. I actually love this aspect of being a parent cyclist. On the weekend’s ride I mentioned above, Flo chose to wear her ordinary clothes (including skirt) whilst the rest of us wore bike gear. So I think she’s learning to negotiate cycling in her own, young woman (and rather stylish) kind of way. And certainly, although she’s influenced by the car-dependencies of her friends, she has also helped to normalise cycling amongst them. 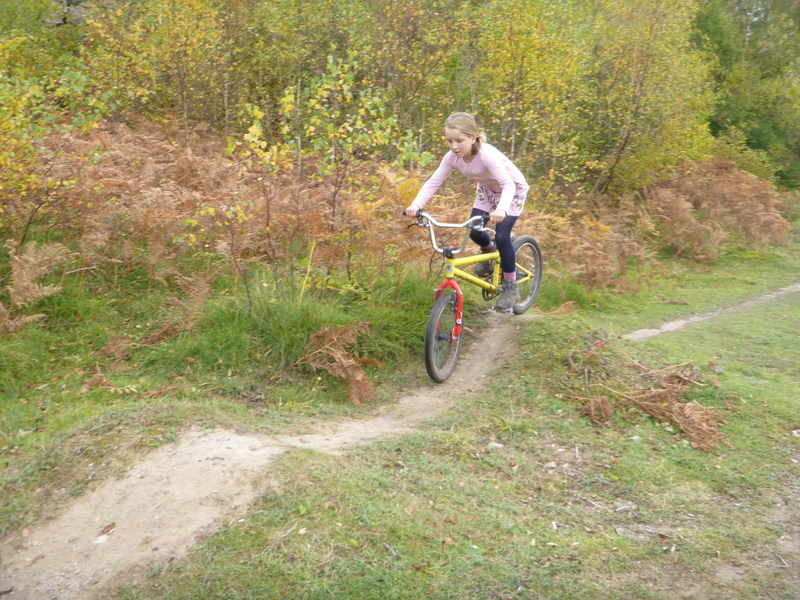 I’m under no illusions and feel far from cocky, but seeing her power and (parentally-induced) ‘independence’ upon a bike, I hope she might find the idea of driving – as that age approaches – rather dull. Whatever, in the meantime she gets quite a lot of affirmation for the ‘simple’ act of cycling, and (following Durkheim and you, above) is I can’t help but often think a pretty good pedalling advertisement for broader attitude change. May be we should be making a real effort to record these life-course changes in our own off spring more consistently (especially as life-course research is now the in thing). Perhaps it should be called the Lancaster Noughties birth cohort?